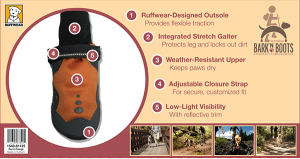 Project Info: Bark'N Boots is a product line under the parent company Ruffwear. 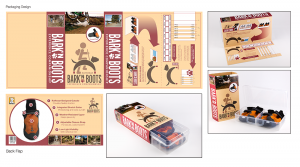 This packaging design was designed to go with logo redesign and focus on the outdoor enthusiasts. 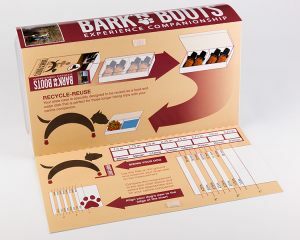 After the shoes are used, the packaging can be repurposed as a temporary food and water dish for their dogs when they go on their long hikes or camping trips.